With six physicians and five locations, the Morris Hospital Obstetrics & Gynecology Specialists are excellent health care resources for women at all stages of life. Pregnancy, labor and postpartum care. All six physicians deliver babies in the beautiful Family Birthing Suites at Morris Hospital. Normal and high risk pregnancies (diabetes, hypertensive disorders, seizure disorders, endocrine conditions, blood clotting disorders, drug addiction), working closely with Maternal Fetal Medicine specialists at Loyola University Medical Center. All birth control options including oral contraceptives, patches, NuvaRing, implant hormonal and hormone-free IUDs, outpatient permanent sterilization options including tubal ligation and Essure procedure. Diagnosis and treatment of female reproductive system disorders. Minimally invasive female surgeries, including laparoscopic hysterectomy (can involve removing or leaving the cervix, whichever is in the patient’s best interest). Hysteroscopy and endometrial ablation outpatient treatments for heavy menses. Treatment for stress urinary incontinence or urge incontinence. Hours: Mondays-Thursdays, 8 a.m.-6 p.m.; Fridays, 8 a.m.-4 p.m. Hours: Mondays-Thursdays, 8 a.m.-6 p.m. Hours: Thursdays, 9 a.m.-5 p.m. 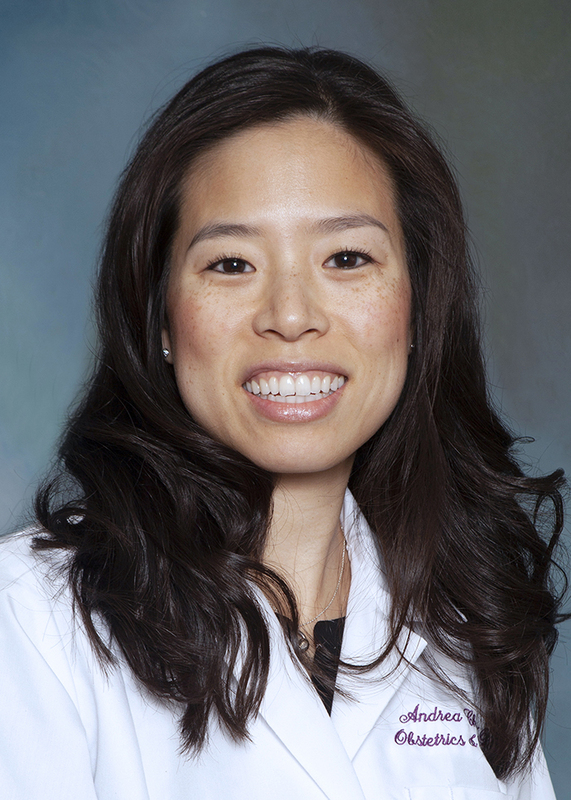 Hours: Mondays, 8 a.m.-12 p.m.; Thursdays, 8 a.m.-6 p.m.
A native of Naperville, Dr. Andrea Chen joined the practice in February 2015 after completing a two year fellowship in minimally invasive gynecologic surgery at St. Joseph’s Hospital and Medical Center in Phoenix. Prior to her fellowship training, she attended medical school at Rush University in Chicago and completed a four year residency in obstetrics and gynecology at Rush University Medical Center. Dr. Chen is committed to practicing evidence-based medicine and following the most current guidelines as established by the American College of Obstetricians and Gynecologists. She takes time to thoroughly counsel patients so that patients can make informed decisions about their own healthcare. Dr. Chen sees patients in the Morris and Yorkville offices. To make an appointment with Dr. Chen, call 815.941.0441 (Morris) or 630.553.5561 (Yorkville). 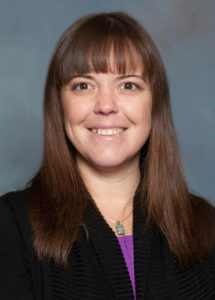 Joining the practice in December 2014, Dr. Jody De Lind is a 2008 graduate of Michigan State University College of Osteopathic Medicine in East Lansing, MI. Shecompleted a four-year residency in obstetrics and gynecology at Rush University Medical Center in Chicago. Dr. De Lind is committed to providing individualized care to each and every patient, discussing all options of treatment, as well as risks and benefits, so she and her patient are both active participants of the healthcare team. Dr. De Lind sees patients in the Morris and Channahon offices. To schedule an appointment with her call 815.941.0441 (Morris) or 815.521.4600 (Channahon). Dr. Erik Muraskas is a graduate of Loyola University Stritch School of Medicine. He completed his residency at Loyola University Medical Center in Maywood, Ill. where he also served as an associate professor. His clinical interests include general obstetrics and gynecology, infertility, STDs and high risk pregnancies. Dr. Muraskas sees patients in the Morris and Marseilles offices. To schedule an appointment with Dr. Muraskas, call 815.941.0441 (Morris) or 815.705.1400 (Marseilles). Dr. Victoria Ochoa came to Morris Hospital in 2013 after practicing in the south suburbs of Chicago for five years. She is a graduate of Lake Erie College of Osteopathic Medicine in Erie, Pa., and completed a residency in obstetrics and gynecology at Mercy Hospital and Medical Center in Chicago. In her practice, Dr.Ochoa is committed to providing quality medical care consistent with current practice guidelines as established by the American College of Obstetrics and Gynecology. Dr. Ochoa sees patients in the Morris and Ottawa offices. To make an appointment with Dr. Ochoa, please call 815.941.0441 (Morris) or 815.324.9700 (Ottawa). Dr. Leticia Setrini-Best is a native of Morris. 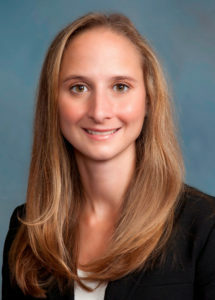 She joined the medical staff at Morris Hospital in 2005 after completing her medical degree at the University of Illinois-Chicago and her residency in obstetrics and gynecology at Advocate Illinois Masonic Medical Center. Dr. Setrini-Best has a special interest in minimally invasive surgery, adolescent gynecology, menopause, obstetrics, endometrial ablation, and sterilization. She is fluent in Spanish. 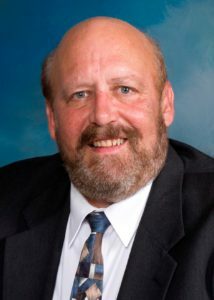 Dr. Setrini-Best is married to Dr. Ian Best, pediatrician with Morris Hospital & Healthcare Centers. They are happy parents of twin daughters. Dr. Setrini-Best sees patients in the Morris and Channahon offices. To make an appointment with Dr. Setrini-Best, call 815.941.0441 (Morris) or 815.521.4600 (Channahon). 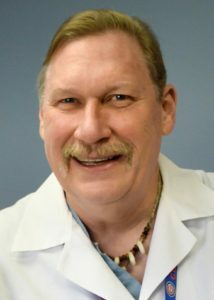 Dr. Douglas Toussaint began practicing in the Morris community in 1995. Dr. Toussaint is committed to following the American College of Obstetricians and Gynecologists’ guidelines. Dr. Toussaint sees patients in the Morris and Ottawa offices. To schedule an appointment with Dr. Toussaint, please call 815.941.0441 (Morris) or 815.324.9700 (Ottawa). Our relationship with our patients is personal and confidential. We pride ourselves on providing individualized care and pay special attention to each patient’s needs and concerns. We have assembled a staff that is friendly, respectful, and dedicated to helping patients attain good service and follow-up. Our approach to women’s health care is to manage problems as conservatively as possible by first educating our patients. Next, we perform a thorough history and physical exam and order the proper diagnostic testing. Treatment options are proposed, with the patient making the final decision with her physician’s guidance. If surgery is necessary, we explore the possibility of minimally invasive surgery. In fact, most of our gynecologic surgery is done laparoscopically, including laparoscopic supracervical hysterectomies, laparoscopic-assisted vaginal hysterectomies, endometriosis procedures, ovarian cystectomies, ectopic pregnancies, and certain bladder suspension procedures. Please bring a list of current medications and doses when you come to your appointment. For your convenience, we suggest that you download and complete our Obstetrics & Gynecology Specialists – Patient Registration Form before coming in for your office visit. Your provider is committed to delivering the best possible coordination of your care by participating in an Accountable Care Organization (ACO). A care coordinator may get involved in your care to help improve communication between your healthcare providers. Please visit our Accountable Care Organization (ACO) webpage to learn more. Same-day appointments for immediate needs. We offer blood pressure screenings during office hours.